Last edited by moyboy on Thu Apr 11, 2019 2:15 pm, edited 1 time in total. and there we go....a full suspension road bike, brilliant....is it April 1st? Also available in this colorway. No dropper seat post, though, so that may be a deal breaker. Last edited by 853guy on Thu Apr 11, 2019 12:56 pm, edited 1 time in total. obviously lessons learnt from the last time. Kobh?? Bring back the ruby forks! Honestly Raoul Luescher predicted this two years ago. Front suspension further increases cornering grip/stability, so be ready to see it on even more bikes. it just looks complicated.... plus electronic? italian? reminds me of an Alfa Romero. Seems to be over engineered for no apparent reason. Hard pass. Note: suspension on road bikes never went anywhere when they tried to do it on bikes with 22mm tires. So, with 28-30mm “all terrain” tires being used today... even less of a need. Well, maybe for gravel. And who knows... anything and everything seems to be a go these days, limited only by the gullibility of the consumer. Electronically controlled dampening is old hat and a natural bed fellow for bicycles. It’s a mark of how low innovation is in the cycling industry that you only see a decent implementation of it in 2019. When you buy a bike it should have options like a car. Integrated lights, HU, dampening, power assist etc. What you get at the moment is a bit of a charade. 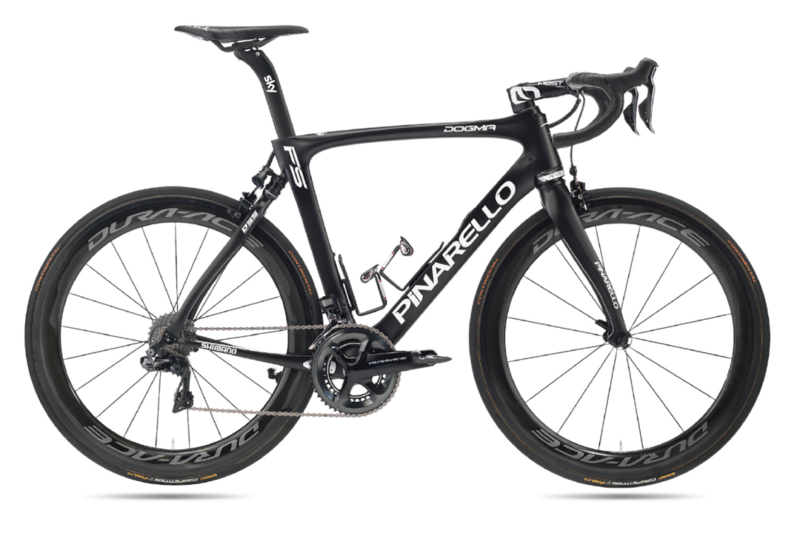 Huge price disparities for a wildly similar bike. Couldn't agree more. But it begs the question: was there enough of a problem with cornering grip, stability, etc. in rigid designs that merits the consumer accepting the cost, complication, maintenance, and weight of a suspension system? Or alternately does the suspension offer such significant improvement in riding experience that the consumer will be happy to endure all the above mentioned costs of the "upgrade"? The future of these things rests in the answer to this question. Would love to take it for a spin. Yes, that mirrors my thoughts pretty much exactly. Despite my facetious post above, to be clear, I am all for innovation that confers a benefit to the rider. And even though I may not be the intended target market for the FS, as recent threads apropos electronic drivetrain and super-light shoes have highlighted, that first-order benefit is best evaluated over time once higher-order effects have emerged. That’s not to say a higher-order effect will necessarily negate the first-order effect, just that it may negate it for particular individuals, contextualised by their specific circumstances/experiences. The rider who wins Paris-Roubaix on the Dogma FS may chalk up their win to the suspension design, just as the rider who suffers suspension failure during the same race may chalk their loss up to the added complexity. Will electronic suspension for road-bikes prove to be an effective real-world solution to a highly specific real-world problem? Only real-world, long-term results will tell. When you buy a bike it should have options like a car. Integrated lights, HU, dampening, power assist etc.